Not all cracks in concrete are serious enough to require repair. 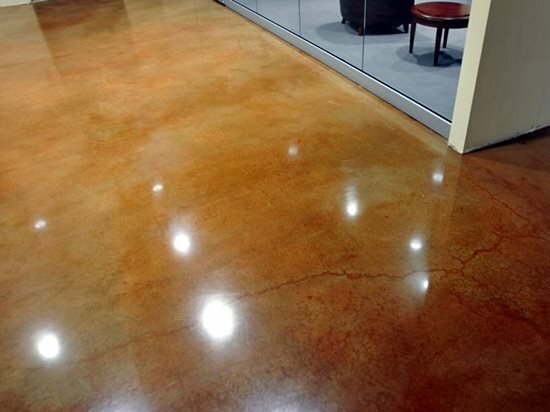 The hairline cracks in this floor were air brushed with brown dye to achieve a beautiful crackle pattern. At what width does a crack in concrete become a problem? That question often arises, but unfortunately there is no definite answer. It can vary from one project to the next. The answer may also change with the person’s perspective: What is acceptable to the contractor, engineer, or architect may not be acceptable to the owner, who must live with the crack day after day. Even the American Concrete Institute has no standards or recommendations that give a "yes" or "no" answer as to what cracks need repair based on width and other factors. In general, cracks wider than a credit card and running through the depth of the concrete are structural in nature and could be a sign of more serious problems (see Concrete Crack Repair Evaluation). These cracks -- no matter what the width -- are rarely acceptable. Consult an engineer or concrete repair professional to determine the cause of the crack and to recommend the best repair solution. Is the crack static or is it gradually becoming wider? If you notice movement of the crack, it may continue to widen if the crack isn’t repaired and could indicate a structural problem. If the crack is in a horizontal surface, such as a floor or slab, is it wide enough to present a tripping hazard? Does the crack trap dirt and present a maintenance or sanitation issue? Is the crack an eye sore and located in a high-visibility area?